Folsom Toyota Service: How is Your Gas Mileage? A bad air filter. Your air filter plays an important role in your gas mileage by mixing air and fuel. If your air filter becomes clogged or needs to be replaced, you’ll see a drop in gas mileage. Using the wrong motor oil. Trying to save money on a poor quality or wrong type of motor oil can cost you more in gas mileage than what you saved on your oil. Fuel injector is not working correctly. Your fuel injector is what puts fuel into the engine; if it isn’t working right or is leaking, the drop in gas mileage could be from leaking gas. Spark plugs need to be replaced. Misfiring spark plugs won’t combust like that are supposed to and cause you to use more gas. You can call our Folsom Toyota service team today and schedule a consultation to talk about your gas mileage problems. 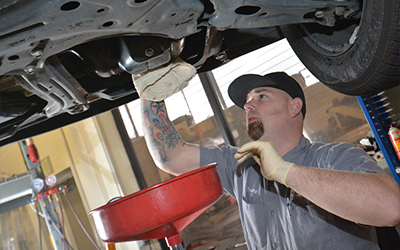 Our team will find the underlying issue and fix it for you so you can get back to enjoying the great gas mileage that Toyota cars and trucks are known for. Call us at 916-985-9800 or contact us through our website today!